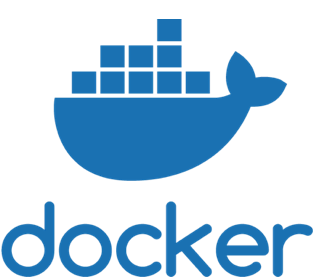 Since Docker-CE 18.09.0 they decided to drop support for devicemapper which caused the OnlyOffice and Collabora scripts for new installations and updates to break as they were using devicemapper. Luckily a bug report (it’s always important to let us know about defects so that we can fix them) was made regarding this, and the issue is now solved by changing to overlay2 instead on new installs. We first decided to change it only for Collabora and OnlyOffice, but later decided to use overlay2 globally for new installations of Docker. What we didn’t fix yet is changing from devicemapper to overlay2 for old installations, but we plan to add it in the update script for the Nextcloud VM. The quick fix was to hold the docker-ce package so that it stays on a version below 18.09 to avoid breakage for people that still runs on devicemapper. Not an optimal fix, but it solves the issue for now at least. As we plan to release the fix soon we thought a heads up would be nice, so that you have a chance to change it yourselves before we interfere with your current setup. Needless to say, whatever you choose you must change either way since it’s no longer supported by Docker. If you decide to give it a try yourself you need to follow the instructions in this post. You could also stop and remove the docker image completely, change to overlay2 and then run the docker command for installing your preferred docker image from either Collabora or OnlyOffice. If you need help, you could always ask for support in the Nextcloud forums, or buy support and let us do it for you. The fix in the update script will be in Nextcloud 15 after some extensive testing of course.